First it was Samsung, but HTC went on to sign an agreement. Yes, we are talking about the disputes with Apple. 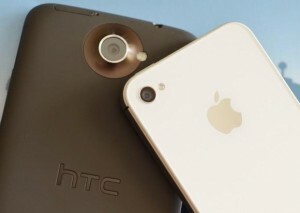 Back in 2010, Apple filed a lawsuit against HTC for infringing over twenty iPhone patents. Apple sought out an injunction that would be permanent and stop HTC from selling and importing phones. Apple did not stop with that, they wanted HTC to pay compensation for the damages. Out of the twenty patents that Apple claimed that HTC broke, multi touch was the most notable. Apple holds the patent for multi touch technology! Over the turn of events, HTC initially dismissed the charges and said that the company had been innovating over the years and that Apple’s claims were not to be taken seriously. The ITC filing was leaked on the Internet and it was pretty evident that Apple held the patents for pretty much every touch screen phone that HTC made (running both Windows Mobile and Android). Google, even though it wasn’t a part of the lawsuit, jumped in to say that it was behind those partners who helped develop the mobile operating system, Android. Luckily for HTC, the disputed didn’t roll like it did with Samsung, where they had to pay over a billion dollars in damage to Apple. Maybe because HTC holds the patent for the new 4G network that has data transfer speeds reaching up to 80 MBps. The LTE standard had been adopted by Apple in the third and the fourth generation iPad and also in the iPhone 5. But that is just a guess and no one else other than the bosses of Apple and HTC know why a pact was signed and the patent infringing truce called. Since Apple had asked for the sale of HTC phones in the U.S, it is unclear what the impact of this agreement will be. Both, the CEO of HTC and Apple have independently released press announcements. 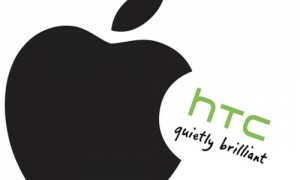 The HTC CEO has said that the issue with Apple had been resolved and that the company can start focusing on future innovations. The CEO of Apple in his press release has also said that they’ve reached a settlement and that they will be concentrating on new innovations. These press releases have sparked speculations on the Web and Apple’s stocks have been trading slightly high, on the other hand, HTC stocks at the New York Stock Exchange have dropped a few points. Till there is a clear statement of the settlement, we can only guess what had happened behind the closed doors and what will the future be for HTC. Some say that Apple might have thought that suing other companies is expensive. There have also been speculations about Apple trying to control damages and reputation. Since the agreement has been signed for a period of 10 years, it is also possible that an out of court agreement has been negotiated where HTC paid. But all these are mere speculations. Nonetheless, a settlement has been reached and we need to wait for a few weeks to know what has happened and what the implication of this settlement is.